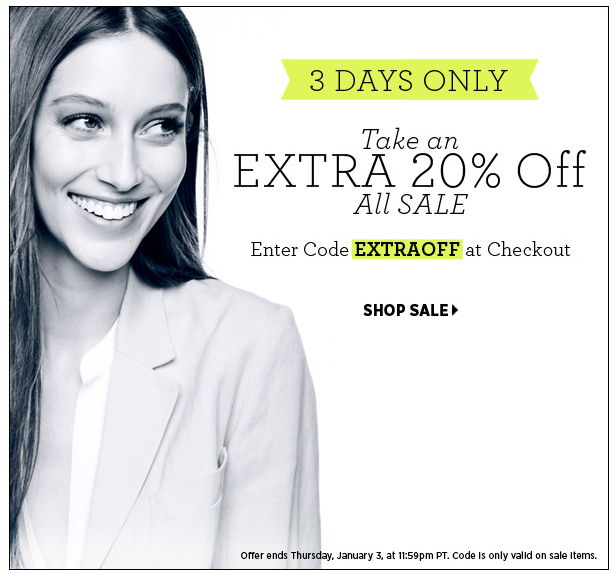 Shopbop is taking another 20% off all sale merchandise! All you have to do is enter code EXTRAOFF at checkout! I have my eye on this Tibi plaid top, these Phillip Lim pumps, and this ALC leather dress.